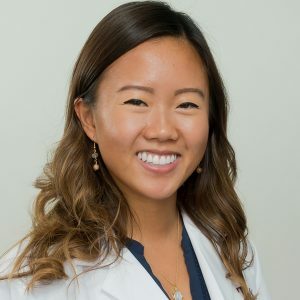 Providing direct patient care while working in a specialized field is what first attracted Angela Chu to pursuing a PharmD. Read about her journey below! I really didn’t know until midway through pharmacy school when I started seeing patients face-to-face. Gaining the confidence to make clinical recommendations and educating patients and providers made me start to feel useful and that I was finally applying things we learned in school into practice. During my final year on rotations, I really grew my passion in being a pharmacist when preceptors would trust me enough to independently see patients. It was a scary sink-or-swim feeling but being able to contribute to the healthcare team solidified the years of training that I received to get to that point. I like how pharmacists can offer recommendations that get overlooked when other members of the team are too focused on acute issues. And if I didn’t know something, that made me want to look it up and promoted the lifelong learning trait all pharmacists have. I hope to become a faculty member with a practice site in the intensive care unit after a PGY-2 residency. I love working with students and helping them develop into independent practitioners, while still being involved in the acute care setting. I looked at how reputable the program was, whether the program was a 0-6 or direct admittance, how big the class sizes were and geographic location. I wanted a school where the professors wanted to get to know students on a personal level, not just as a number. The fact that my college has had the pharmacy program for over 125 years made me confident that it was a well organized program with a large alumni network. Do/did you have any mentors/guidance counselors/family members that helped you get where you are now? How did they help? It is crucial to form relationships with and identify mentors while in school. These can be pharmacists out in practice, professors or students a year above you. I still rely on my friends who were a year or two ahead of me when I went through the residency match, studied for boards or am trying to develop as a preceptor. I also have a professor who mentors me as I work towards my goal of becoming a faculty member after residency. She helps identify opportunities for me to teach and learn about academia on a national level, while helping me develop my teaching portfolio. Without mentors, I would have struggled more finding opportunities to develop as a professional and academically. Along those lines, it is important to pay it forward and become a mentor to someone younger than you. I loved having all of my friends in one place. It’s so much harder to stay in touch once you graduate. Take advantage of developing those social bonds while in college – learn to say yes more often! You don’t want to regret not taking those opportunities or making those memories later. In school we always worked together. Sometimes formally for group projects and sometimes informally – studying for tests, debriefing after difficult cases over breakfast or texting each other hard questions to gain different clinical opinions. Do whatever you’re passionate about! Pharmacy school is challenging but hone in one or two hobbies or activities that make you you and schedule those into your life. Whether that’s regularly exercising, playing on club volleyball, volunteering at an animal shelter, joining (or leading) a club… don’t get too caught up in school that you lose you. Outside of that, take a break! I always took Saturdays off and didn’t do one pharmacy thing. I used that time to go running, hang out with friends, go grocery shopping, have date nights – all before hitting the ground running again. You never want to be the smartest person in the room. 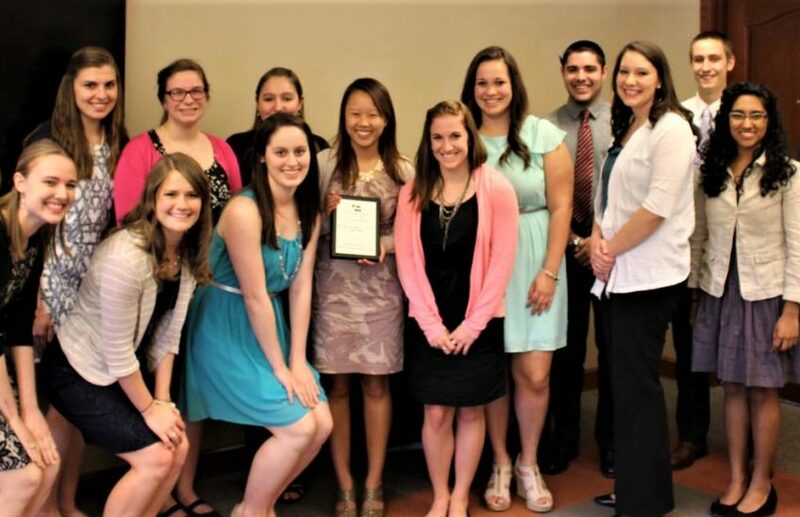 Students who get into pharmacy school are the cream of the crop and when you take high achieving students and put them all together, it’s a huge learning curve to not be the smartest person anymore. But that’s ok! Don’t get frustrated if you’re “not getting it”. Seek help from professors or other students instead of beating yourself up. Pharmacy school is hard and you need to learn how to work as a team because in the real world, that’s what pharmacists do. The more minds you have collaborating on a project, the better the outcome. Don’t feel like you have to come up with all of the answers alone. Shadow various pharmacists to get a better sense of what a career in pharmacy looks like. Most people think pharmacists are pill counters at CVS but that isn’t true! Pharmacists work in all areas – hospitals (and there are dozens of subspecialities within that), community, ambulatory care, industry, government, academia, etc. Another misconception is that pharmacists don’t “call the shots” like a physician does. Pharmacists are vital members of the healthcare team and are often sought out when coming up with a patient care plan. Some practice completely independently and are able to make interventions under a consult agreement. Try it before you buy it – any pharmacist would gladly sit and talk with a prospective student about what they do for a living because we are passionate about our jobs!